As you arrive at New Jalpaiguri railway station or Bagdogra airport, our representative will be waiting for your pick up. 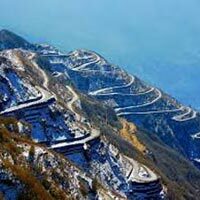 We will then leave for the Queen of Hills – Darjeeling. Our hill journey to Darjeeling will pass through numerous green tea gardens that provide a breathtaking sight of the place. On reaching, transfer to a hotel. Overnight stay at the hotel. Get up early to sunrise from the Tiger Hill. We will be leaving the hotel around 04.00 am for covering the 10 kms distance to reach the Tiger Hill. Upon reaching enjoy the panoramic views of sunrise from Mount Everest along with Kangchenjunga from the observation deck. Later return to Darjeeling, on the way back we will be visiting Ghoom Monastery. Built in 1857, the monastery established by Lama Sherab Gyatso. The monastery follows the Gelug School of Tibetan Buddhism, and here you will find a 15 ft high statue of future Buddha. Return to Darjeeling via Batasia Loop. Upon arrival, transfer to the hotel, fresh-n-up and enjoy tasty breakfast. Post breakfast we will have an excursion around the hill city visiting the Himalayan Mountaineering Institute. It was established in 1954 and is one of the renowned mountaineering institutes of the world. Later, we will be visiting the P.N. Zoological Park, Tenzing Rock, Tibetan Refugee Centre, Japanese Temple and Tea Garden. Return to the hotel for spending evening in leisure, followed by a comfy overnight stay. 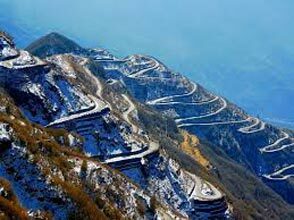 After breakfast we will drive to our next hill station, Kalimpong, which is full of scenic beauties. Upon reaching, transfer to a hotel. In the afternoon, we will go on sightseeing tour of Kalimpong and visit Mangal Dham, Delo Hill, Dr. Grahams Home, Durbin Dhara Hills & Flowers Nurseries. In the evening return back to hotel for overnight stay. Drive to Gangtok after breakfast and on reaching, transfer to a hotel. Fresh-n-up and then we will go on a city sightseeing tour of Gangtok. The tour will include a visit to the Rumtek Monastery, Bonjhakri Falls, Institute of Tibetology (closed on Sunday), Do-drul-Chorten, and Flower Exhibition Centre. Return to the hotel for overnight stay. 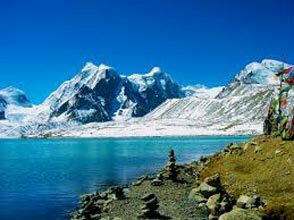 Get up early and drive to Tsonmgo Lake (12400 ft), which is located 40 km from Gangtok. Tsonmgo is about 1 km long and 15 m deep sacred lake. Later, we will pay a visit to Baba Harbhajan Singh Temple, which is 16 km away from the lake. Return to Gangtok by afternoon. For the rest of the day you are free to enjoy your own activities. Overnight stay at the hotel. After a leisurely breakfast leave for the NJP or Bagdogra for onward connection.